Saltines have been a snack in everyone’s diet for a long time now. From soups to chili, people have been using Saltines to add a little crunch to their meal. And let’s not forget the magic it works for morning sickness! Now there’s a way to jazz up the go to cracker of choice with a little style. Say goodbye to the plain cracker that you are used to, it has been transformed! Savory Saltine Seasoning makes it easy to turn your cracker into a gourmet treat, use it at tailgate parties, or even a sophisticated party for your boss! 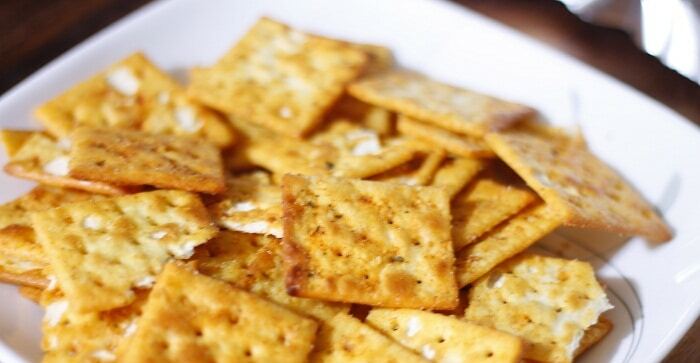 Amaze your guests with great tasting crackers without spending a lot of money. The seasoning comes in 1.4 ounce packets and makes four sleeves of Saltines, or if you want a more flavorful experience, you can use the entire packet on just one sleeve. Transforming your Saltines into an amazing treat, is simple. Use your Savory Saltine Seasoning, Canola Oil, and your Saltine crackers….Place them in an air filled mixing bag, and toss until seasoning has been absorbed and they are all coated. 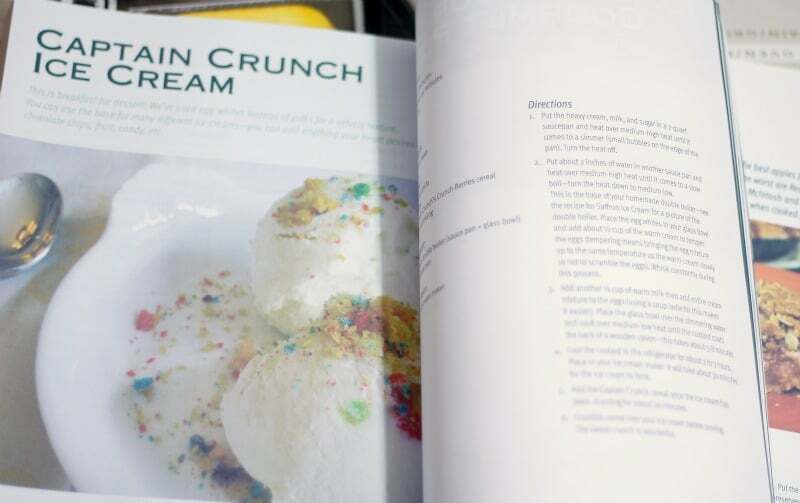 No baking or refrigeration required! Easy peasy, and done in minutes! You can’t beat that! The possibilities for great uses of your Saltines are endless! You can spice up your fajitas, coat chicken or pork, add to any ground meats like beef or turkey, crumble onto your favorite casseroles or salads, or even top off that baked potato for an amazing zing! 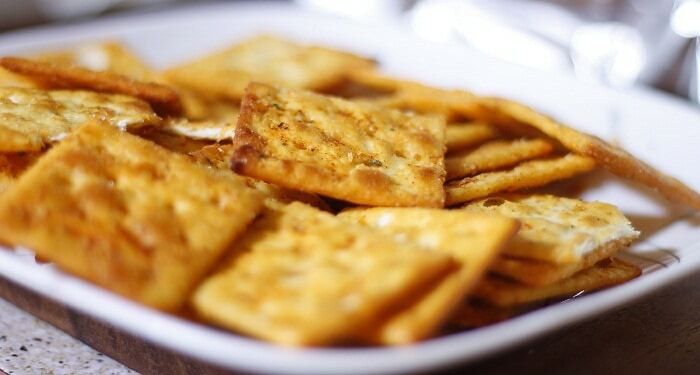 crackers without cheese or peanut butter for a savory snack when you’re craving for something different. Never eat boring crackers again! 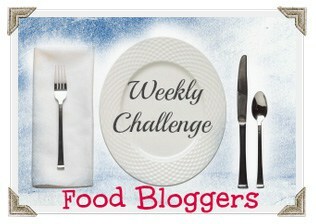 To see all of this in action, check out this YouTube video on how to make savory party crackers. Great tasting crackers with just a little work. Sounds like a good idea to me! You can get Savory Saltine Seasoning from their online shop: http://www.savoryfinefoods.com. 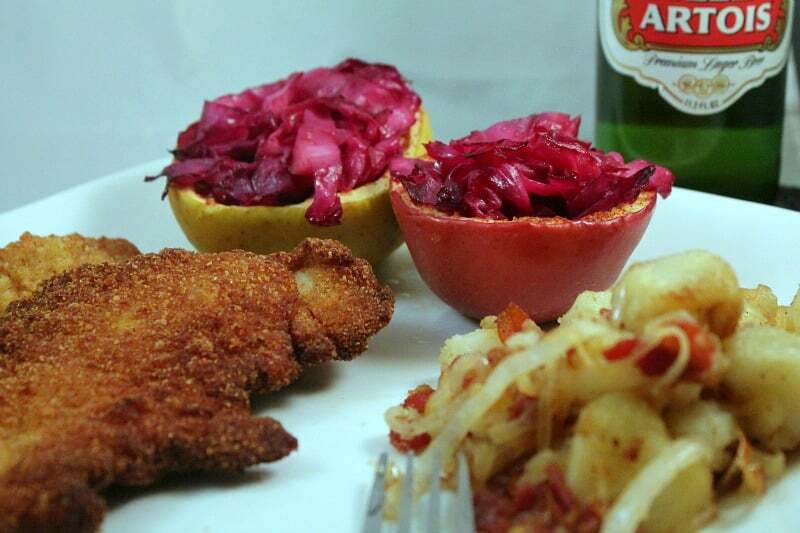 You can also follow them on Facebook and Twitter to get great recipes and ideas!. Disclosure: I received a package of the Savory Saltine Seasoning for the purpose of this review. All opinions are my own. Tomatoes are a great addition to almost any meal. From chili to stew, spaghetti to your favorite sauces, tomatoes make every dish that much better. 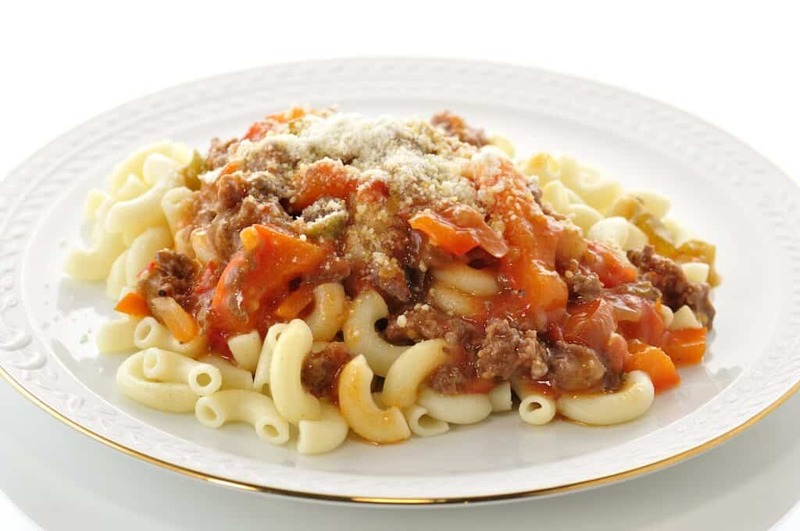 Dei Fratelli helps make those meals easier with their canned tomato products. They have been around for over four generations, bringing great tastes to your family table and their own. They start out with the finest ingredients available, and their tomatoes are made from seedlings that they cultivate. The Hirzel and Dei Fratelli families have developed a reputation for being a strong family oriented brand, striving to maintain a strong sense of integrity in their products. They make pizza, spaghetti, and tomato sauces, canned tomatoes, and so much more. They are proud to bring you the same quality products that they bring to their own families. A great dinner to make with their amazing products is chili. It’s been very cold lately, and nothing tastes better than chili on a cold evening. Adding Dei Fratelli tomatoes to your chili makes it even better. The fresh taste that is provided by their canned products is what they spend their time doing to bring you the best tasting products. Nothing is better than knowing that what you’re serving your families has probably graced their tables a time or two as well. They have a strong sense of family, and nothing brings a family together better than a hot great tasting meal. Knowing that the meal you present them is healthy, is also important. Dei Fratelli helps you to do just that. They have some really great videos showing how they package their tomatoes helping to bring out the fresh taste that families have grown to love and expect from Dei Fratelli. Bring the taste of fresh tomatoes home to your family, and taste the difference between their tomatoes and the other canned tomato products you normally eat. In true Green Eggs fashion we have some amazing recipes, using Dei Fratelli tomatoes (like this easy marinara sauce) in various form, to share. The freshness of these tomatoes will definitely add that something special to these dishes. These recipes are perfect for National Nutrition Month as well as Heart Healthy Month. Preparation: In a large saucepan, bring the tomatoes and broth to a boil. Reduce heat; cover and simmer for 10 minutes. Add basil and sugar. Reduce heat to low; stir in cream and butter. Cook until butter is melted. Preparation: Cut zucchini in half. Scrape inside of zucchini out. Brown ground beef and zucchini in oil. Salt and pepper to taste. Place zucchini shells in large casserole dish and bake at 350° for 20 minutes. Head over to the Dei Fratelli store to pick up Dei Fratelli tomatoes and other products. Also be sure to connect with Dei Fratelli on Facebook. Go to the store, and you will see so many different dips, sauces and salad dressings that your head may spin. The salad dressings are almost always the same – boring and familiar. French, Ranch, Sweet and Sour, Italian…and the different variations of those flavors. Growing tired of the same old same; a box of dressings, dips and sauces from Terrapin Ridge Farms couldn’t have entered my kitchen at a better time. Terrapin Ridge Farms was started by two friends, Brian Coughlin and Mary O’Donnell. 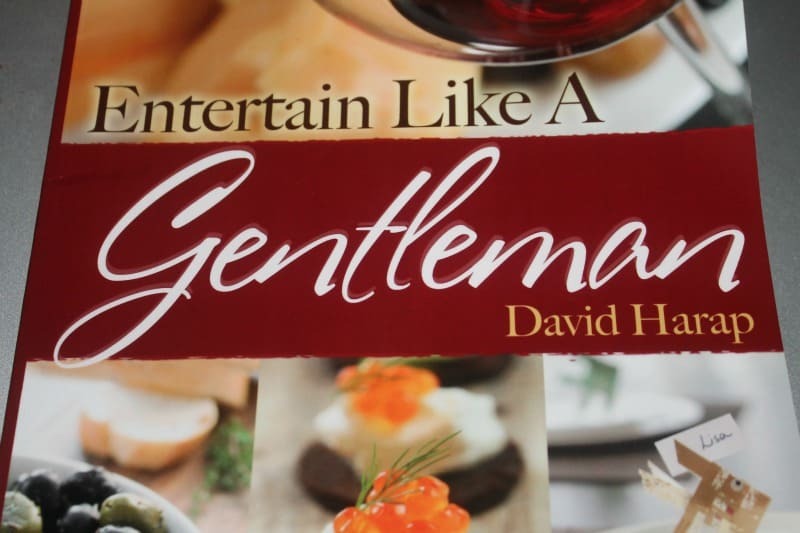 They decided to mix their friendship with business to produce great products with delicious gourmet foods, with the finest ingredients possible. After 22 years of friendship, they talked often of starting this business together, and in July of 2010 they did just that. They purchased the Terrapin Ridge Farms brand. 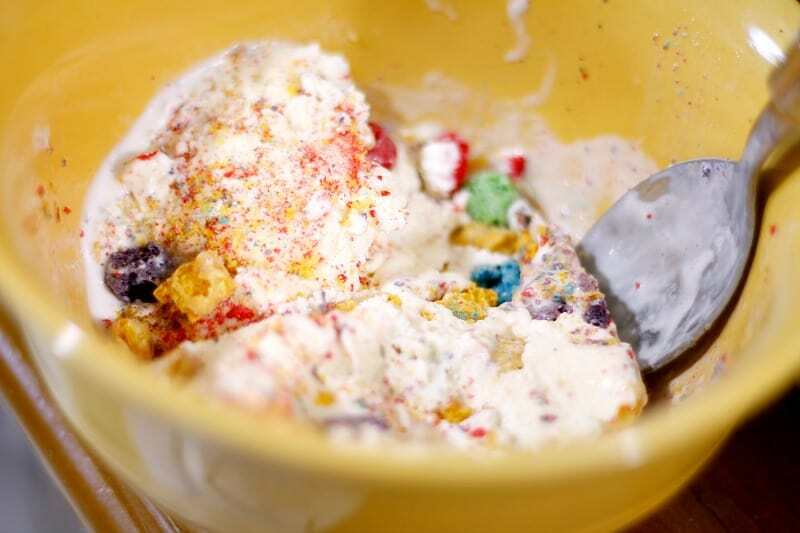 The company had 13 years of innovation and unique flavors that Brian and Mary had dreamed about creating for years, that people would love, and keep in their kitchen to share with their friends and families. The company maintains their great reputation and the highest of standards today, with their award-winning products. The Bacon and Chive dip is two favorite flavors blended together to create this addictive dip. Serve on sandwiches, with your favorite snack, or a baked potato. This dip is also gluten-free. I really like the idea of being able to use this for baked potatoes; less work and better flavor. The bacon really shines in this dip. Strawberry Honey Mustard pretzel dip brings the sweetness of strawberries to the honey mustard dip. Drizzle over a cheese log to bring this great taste to your favorite cracker. Also great to add to meats for a finishing sauce when grilling. I wasn’t too crazy for this dip but John – who likes crazy combinations – really enjoyed it. The Creamy Italian White Balsamic Dressing is a great staple for any pantry. Use on salads, pastas, or as a dip for your favorite snack. I have plans to use this in a quick Alfredo inspired dish – look forward to that recipe soon! Sweet Red Onion White Balsamic Dressing: the great tartness of their white balsamic vinegar combines with the red onion flavor to make this creamy dressing. Delicious in any salad with strawberries, raspberries, or blueberries with goat cheese. Also makes a great dip, or on your favorite sandwiches. Chipotle Aioli blends the bold flavor of chipotle peppers and a great blend of spices to make this sauce. Use to dip onion rings and tortilla dips. Add to your scrambled eggs for a smoky finish. This sauce is also Gluten Free!Thai Chili Aioli Garlic: Thai Chili, and ginger in a creamy Aioli sauce. Toss breaded shrimp or chicken in this sauce for a great taste. Also makes a great dip for egg rolls, or dollop on some fish tacos. All natural and gluten-free. This was actually my favorite of the Terrapin Ridge Farms variety I received. 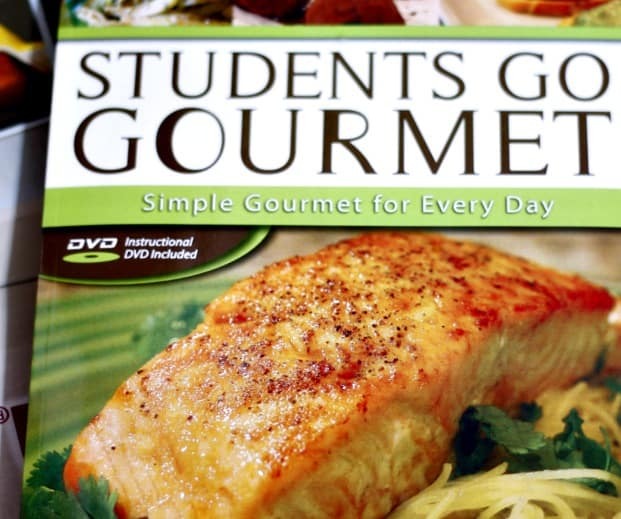 I used it on Panko breaded chicken breast and they were absolutely amazing. When everyone in the family loves a meal and doesn’t complain it’s a winner. This is the case when I used the Thai Chili Aioli Garlic to make dinner. The taste was similar to a good hot wing recipe – but better. There was a perfect blend of spices that left the sauce well seasoned without being too spicy for my picky son. He actually asked for thirds! 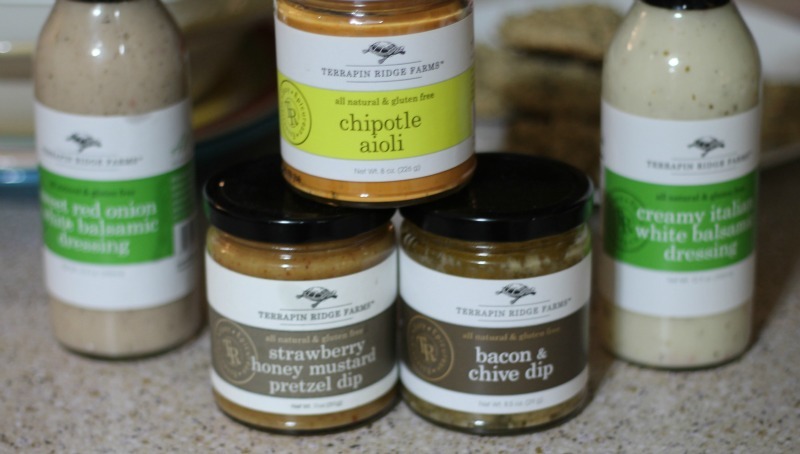 If the other sauces, dips and dressings are like those I received, I can highly recommend Terrapin Ridge Farms products. These are crowd pleasing sauces, dips and dressings that are sure to jazz up any meal. They’re especially great for busy parents who need a little help in the meal prep department. Perfect for a quick dinner or a family affair; find Terrapin Ridge Farms products on their website. Also be sure to connect with Terrapin Ridge Farms on Facebook and Twitter. Disclosure: I received the Terrapin Ridge Farms products mentioned above in order to review them. All opinions are my own.